Nevada had record-setting sports betting revenue in 2018, but relatively sluggish growth in the handle points to the rapid growth of the Silver State market eventually cooling, especially as more states around the country kick off legal sports betting. According to Nevada Gaming Control Board figures released Thursday morning, Silver State brick-and-mortar sportsbooks and mobile platforms generated $301,048,000 in winnings, up 20.98% over 2017’s $248,777,000, which was the previous all-time high. The sports betting revenue was 2.52% of total statewide gaming win of $11,917,370,000 for the calendar year. Last year, sports betting was 2.15% of total gaming win. The total gaming win was up 3% over 2017. Sports betting’s nearly 21% uptick made it the best performing casino offering from a growth perspective. The next best single game in terms of y-o-y growth was baccarat, which saw winnings rise 4.74% to $1,208,165,000. Historical figures based off data compiled by the UNLV’s Center for Gaming Research. The books held 6.01% of all wagers in the form of winnings, which means that $5,009,118,136 was wagered in 2018. That’s also an all-time high, albeit a less spectacular milestone than the revenue. In 2017, Nevada’s sportsbooks handled $4,868,434,442, which means that the handle grew 2.88% year-over-year. That handle growth was sluggish relative to gains made in recent years. Handle in 2017 was up 7.95% over 2016, which had 6.42% handle growth over 2015. What does it mean when the winnings growth far outpaced the handle growth? The books performed better against gamblers last year. In fact, the win percentage was actually abnormally high. The 6.01% was the best hold percentage since 6.49% in 2007. Prior to last year’s results, the overall casino win percentage on sports betting since 1984 was 5.52%. Nevada has had single-game sports betting for decades, which gave it a monopoly on the industry for many years. That era came to an end last year with May’s U.S. Supreme Court ruling that struck down the federal ban on single-game sports betting outside of the state. By the end of 2018, the number of states that had launched legal sports betting was nearing double digits. 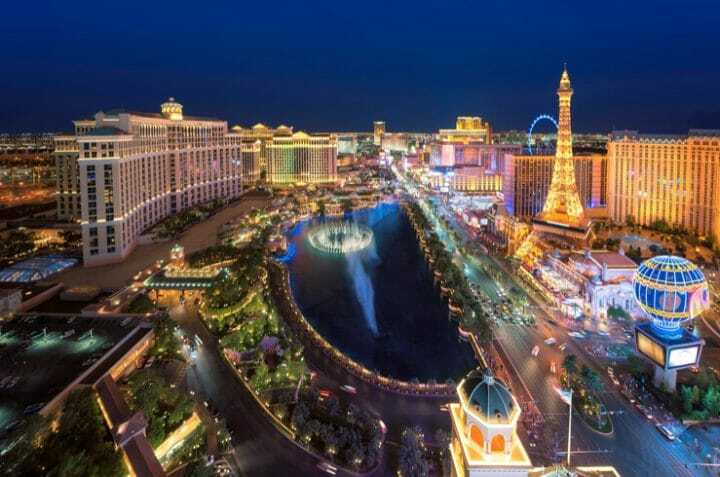 Nevada isn’t projected to see much growth as the casino offering spreads around the country and states look for their share of a multibillion-dollar industry. Las Vegas will always be the gambling tourism capital of the country, but sportsbooks at regional casinos, and over the internet in some states, will make it hard for Nevada to find much long-term growth. With that said, Las Vegas will soon have an NFL franchise, which could provide a major bump for wagering. There’s long been speculation that the city will obtain an MLB franchise as well. Another great thing for Nevada is that it has California as a neighbor, a state that shows little signs of legalizing sports betting anytime soon, despite possessing the nation’s most lucrative market for betting. To the south of Nevada sits Arizona, which has a sports betting bill in the works. Legal sports betting in Arizona could take a small bite out of Nevada’s winnings and handle. Still, regionally speaking, Las Vegas will dominate the sports betting market for the foreseeable future. Can sports betting overtake craps and roulette? Years ago, you might have been called crazy for predicting that sports betting could eventually overtake some popular table games. But that could very well soon happen. Assuming Nevada’s sports betting win keeps trending in the right direction, the offering could be more lucrative for the casinos than both craps and roulette, which hover close to $400,000,000 in annual revenue. Sports betting overtook poker early this decade, as the poker boom came to a close. After many years in which poker was more popular than sports betting, 2018 saw a roughly $180,000,000 gap between those games, as Silver State poker rooms raked just 120,012,000 from poker last year, up only 1.31%.